The U.S. Nuclear Regulatory Commission (NRC) recognizes the unique relationship that the Federal government has with Federally recognized Tribes. The NRC is committed to the development and implementation of agency policies and regulatory activities with Tribal implications. 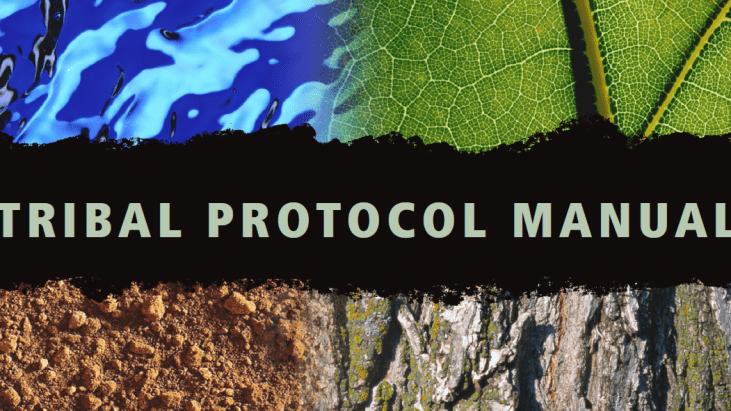 The “Tribal Protocol Manual” is intended to facilitate effective consultations and interactions between the NRC and Native American Tribes concerning activities within the scope of the NRC’s jurisdiction. The Tribal Protocol Manual is a reference tool, produced from multiple sources, including interviews with NRC staff and management and other Federal agencies’ personnel and Tribal representatives experienced in working with Tribes. NRC management and staff can use this guide to develop and maintain government-to-government relationships with Tribal governments. This manual supplements working knowledge for NRC staff with Tribal outreach experience and provides practical guidance to NRC personnel who have had limited interactions with Native American Tribes. In this manual, various names are used when describing Native American peoples, because there is no specifically established name to use when describing Native American people. The terminology “Indian Tribe” and “Tribal officials” were utilized in President Clinton’s November 6, 2000, Executive Order 13175.2 The Department of the Interior, Bureau of Indian Affairs, uses the term “American Indian,” while the National Congress of American Indians prefers “Native American.” Accordingly, these terms will be used interchangeably throughout this manual. Some Native American Tribes have a regulatory relationship with the NRC as licensees. This manual does not imply a regulatory relationship with license holding Native American Tribes different from other NRC licensees. One important message to take away from this manual is that Tribes are unique governmental entities and are not extensions of State or local governments. Each Federally recognized Tribe is a domestic, dependent sovereign nation with its own customs, culture, concerns, interests and needs. NRC’s Tribal Protocol Manual is intended to assist NRC management and staff to recognize these distinctions and create a more open and productive working relationship with Native American Tribal governments.